Kanyu/Feng-shui evaluations could occur at several different points over the course of a Centre’s growth and development. Depending on the situation, an evaluation could be made in relation to determining the best location within a city for a Shambhala Centre, the most suitable property or building for the Centre within a selected neighborhood, or the ideal plan or building design for the Centre in or on any given property. These evaluations could apply to Centres involved with either purchasing or leasing options. For further details, please read: SE – PART III – On Fengshui Consultations. A. Determining the location – Identifying the drala patterns of the region. 1. To begin with, a qualified member of the Advisory Panel would use aerial maps to identify the drala basins in the initial search for new site. This work can be done off-site. Consultation fees may apply. 2. Next a qualified member of the Advisory Panel would make a site visit to the city in question. Consultation fees and expenses will need to be negotiated. A qualified member of the Advisory Panel would give feedback and recommendation on potential properties or buildings identified by the local center, based on recommendations made during the fungshui site visit. This work can be done off site, with photos and google links. Consultation fees may apply. 1. In conjunction with the Centre’s Design Team, a fungshui evaluation would typically occur during the Schematic Design phase of the project. This would involve review and approval of any schematic site plans, floor plans, or building elevations. Consultation fees may apply. 2. Again in conjunction with the Centre’s Design Team, another fungshui evaluation might occur during the Design Development phase, prior to the project being submitted for any Building Permits. This could involve review of the full set of design development documents. Consultation fees may apply. 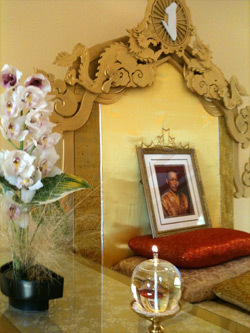 To learn more about Kanyu/Fengshui, please see the Kanyu / Feng-Shui page.